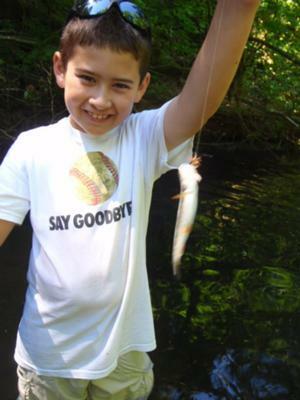 With minimal instruction kids can begin to fish independently with tenkara rods and catch fish. 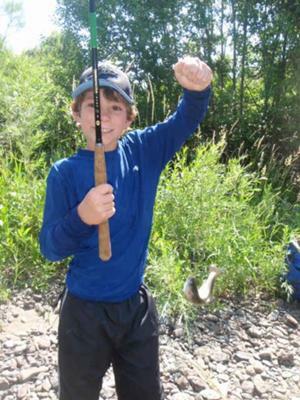 Our non-profit organization, Educational Recreational Adventures, (www.edurecadv.org) has conducted three fly fishing camps and two outdoor adventure camps this summer offering kids and adults an opportunity to learn and practice fly fishing skills. We offer opportunities for both traditional western fly casting and tenkara. It has been surprising to me how quickly children as young as 8 meet with success in catching wild rainbows and cutthroats using tenkara gear. In June, we took 12 youngsters, ages 7-9 fly fishing for wild cutthroat on Silver Creek in Oregon. All 12 kids caught 1-5 trout on dry flies after just minimal instruction. My staff and I spent most of our time running around releasing fish and praising young anglers. Last week on the Little North Fork of the Santiam, our campers walked three miles to our base camp at Opal Creek Ancient Forest Center. I broke out the tenkara rods at our lunch stop and one by one each of the 6 participants (having never had a fly rod in their hands before) caught at least one and as many as three wild rainbows-not a bad way to take the pressure off the guide in a hurry! Over the course of the week long fly fishing and freshwater ecology camp, the youth consistently chose to fish tenkara rods over traditional western rods and met with great success in catching fish. Tenkara for Kids - Great! Thank you very much for submitting that. I think a lot of us who fish with tenkara rods have felt that it would be a great way to introduce kids to fishing (and not just fly fishing, either). Your experiences change the "it would be" to "it is." Tenkara is so simple that they "get it" and it's so effective that they get it before they get bored or get frustrated. I think your first hand report will also ease some parents' or camp directors' concerns that the rods might be too long for young anglers. It certainly seems that they don't have any problems with the length. My 8 year old loves his Tenkara! My son participated in two of Jeff's camps this past summer. 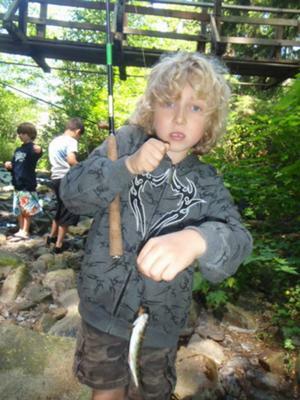 Not only does he expose them to so many of nature's wonders in the Pacific Northwest but he has made fishing sucessfully a breeze for 7-9 year old kids. For those that have or work with boys this age you know it is difficult to keep them on task. The Tenkara rod was such an easy way to keep them motivated and catching fish like crazy. Our entire family loves to fish and were intrigued when Jeff introduced my son to the Tenkara rod. My son looks forward to his next fishing trip! What length rods are good for kids this age? Were their arm strength and endurance issues of concern?